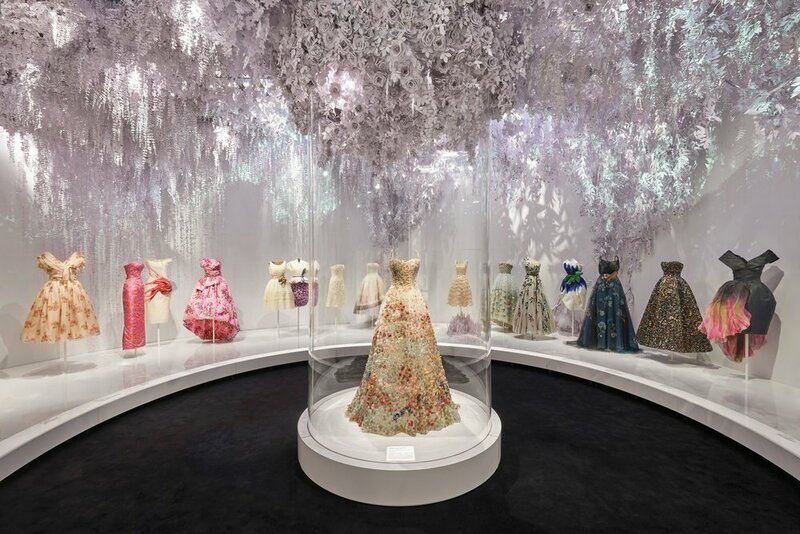 The Victoria and Albert Museum introduced the new exhibition, Designer of Dreams, featuring the work of Christian Dior. After celebrating the opening with a cocktail morning decorated with a fascinating crowd of fashion luminaries, February 2nd marked the opening day of the latest Dior display. The collection will be running until July 14, 2019 at the London Museum. Celebrating the ambition and spirit of the founder and his House, the showcase represents the flair carried through the brand. With over 6 weeks of work to fully build out the V&A The exhibit boasts 157 items which have not been displayed in a museum ever before. This exhibit is also specifically significant in its relations to the UK, as the designer had presented his collection for the first time at the Savoy Hotel as well as Dior’s use of English artisans through out his career.